You Are Here: Home / Azek Decking / Benefits of PVC Decking / Brock Dock / Deck Installation / Dock Supplies / HDPE Decking / Pompano Beach / PVC Decking / PVC Decking Prices / What is the best material for my deck? / What are the Benefits of PVC Decking in Pompano Beach? Are you ready to upgrade your deck or dock? Wood decks and docks have quickly become outdated, and PVC decking is the new trend in decking. PVC decking offers many advantages over traditional wood decking, and our team at Keys Deck & Dock Supply has the best in PVC decking. Wood decks can become faded and worn out over time, and they need to be sealed from time to time. With PVC decking you no longer have to worry about fading or resealing your deck or dock. 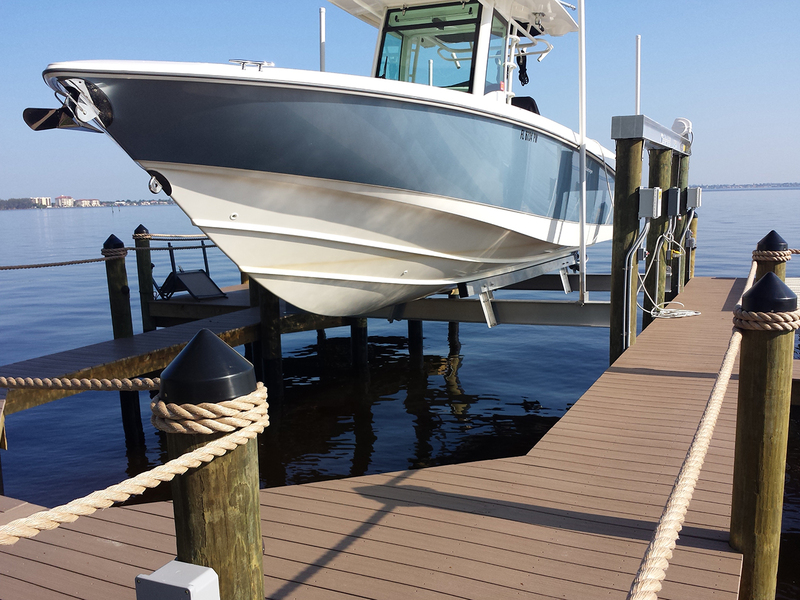 If you’re ready for a new deck or dock in Pompano Beach contact our team at Keys Deck & Dock Supply today. What are the advantages of PVC decking over wood decks? If it’s time to replace your deck or dock it’s important to work with a team of professionals. You want to make sure you’re getting the best quality materials and that your new deck or dock is installed properly. At Keys Deck & Dock Supply we have a wide variety of different decking brands and multiple color options so you can select exactly the look you want. The biggest thing people like about PVC decking is the little maintenance that is required. You don’t have to worry about painting or staining because PVC decking doesn’t fade from the sun’s UV rays. Many of our brands come in a variety of color and style options so you have a large selection to choose from when you visit us at Keys Deck & Dock Supply. If you have any questions about PVC decking and its benefits you can speak with one of our professionals at Keys Deck & Dock Supply. We’re happy to answer any questions and we want to find the perfect new deck for your home. South Florida allows us to enjoy wonderful weather all year, so make sure your deck or dock is in good condition!